Information contained on ArtCollinsTrading.com is provided for education purposes only. Under no circumstances is it to be used or considered as an offer to sell, or a solicitation of any offer to buy securities. While information contained herein is believed to be accurate at the time of publication, we make no representation as to the accuracy or completeness of any data, statistics, studies, or opinions expressed and it should not be relied upon as such. Art Collins Trading, its employees, owners, and/or affiliates may have positions or other interests in securities (including derivatives) directly or indirectly which are the subject of information shown on ArtCollinsTrading.com. 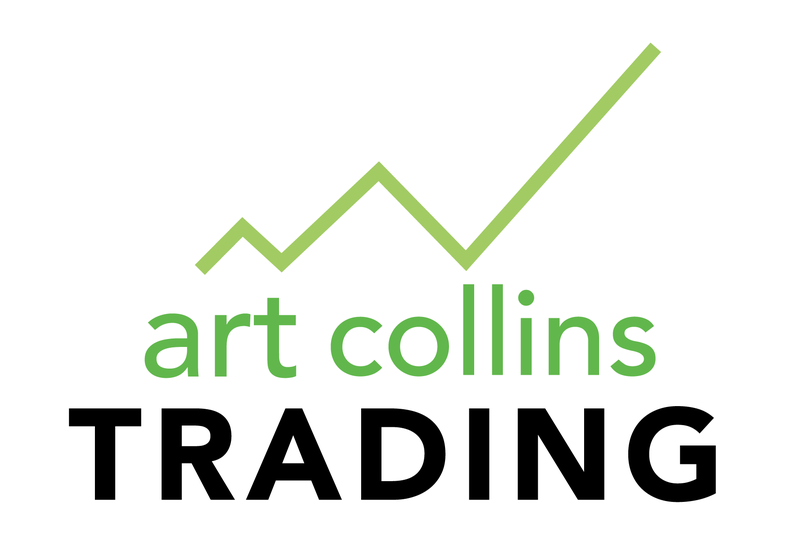 Neither Art Collins Trading, nor any officer or employee of Art Collins Trading, accepts any liability whatsoever for any direct or consequential loss arising from any use of this website or its contents.